Now for the not-so-good news: While going through this exif-checking / quality control, I found an instance where the image files aren’t named in order. That is, page 1 is image 0001, page 2 is image 0007, page 3 is image 0003 … etc. In this instance there is no image 0002, so “page 2” shows as a blank, and “page7” displays what is actually page 2. I wrote to Will Noel, Mike Toth, and Doug Emery (Digital Walters’ brain trust) and it turns out that this is a fairly frequent occurrence. While the IA BookReader assumes that files are numbered consecutively (since that is how they design their projects), Walters provides ordering in the form of a TEI facsimile element in each manuscript description. Long story short, I spent some time on Skype with Doug (very generously giving me his time on a Saturday afternoon!) and he recommended using jquery to build a web app that will build a list of fake file names, using the order from the facsimile element, and will associate each of those names with the file that matches the surface that the fake file name represents. I think that this will be more elegant than trying to modify the way that the BookReader works. Now, I don’t know jquery! Doug pointed me to a tutorial, and I also have access to Lynda.com through my employer, so I expect I’ll spend some time this week getting up to speed on jquery. Doug is going to work on this in the meantime too. I’ve placed a warning at the top of the Walters page, to let folks know that there may indeed be wonkiness in the BookReaders, but we are on the case! I’m going to go ahead and check and upload all the rest of the manuscripts, and hope that the jquery fix can be made programmatically across all the simple js files. Depending on how that goes I may go ahead with the planned Omeka catalog (the issue with page ordering in the BookReader shouldn’t really have an impact on that work) or I may wait. Stay tuned! I got in a good few hours of work this evening, and I really have some things to show for it. I expect there is a more sophisticated way to do this, but I’m just tickled that I figured it out myself. The stylesheet generates a folder, named after the siglum, and the (much simpler) stylesheet I wrote for the html file does the same, and also uses the same variables (although not as many of them). In any case I feel really good about what I’ve been able to get through tonight, and now I am READY FOR BED. Yesterday I set up my hosting and installed some tools that I’m going to use to start my project. I also explained a bit about the project, just my initial thoughts. Today I did a bit of looking at code, and thinking in more detail about what I want to get out of the first stage of the project: creating Internet Archive BookReader objects for every manuscript digitized by the Walters Art Museum (http://www.thedigitalwalters.org/). 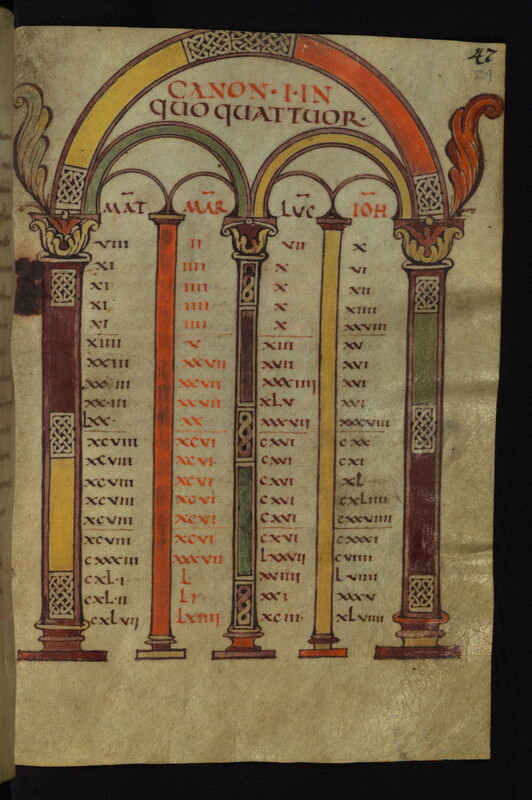 A page from the Freising Gospels from the Walters Art Museum. I’ve selected the IA BookReader (http://openlibrary.org/dev/docs/bookreader) for this project because it’s a very simple bit of code and it presents an attractive and functional finished product. I’m using the Walters Art Museum data because it’s been released under a Creative Commons license and because the Curator of Manuscripts, Will Noel, has been vocal about inviting people to take and reuse the data – so that is what I’m going to do. Yesterday I selected one of the Walters manuscripts and created a BookReader for it – you can access it by linking the image on this page. It’s certainly not perfect, notably there is no way to navigate using page numbers, and I think foliation would be more problematic than pagination to figure out. Anyway, that’s something that I may tackle later on. But for now I’m pretty happy with it. What do I need to do to get from here to there? HERE. What do I have here? I have a TEI manuscript description! It is a beautiful thing. The TEI ms desc gives me much of the information I need over there. the siglum, bless its heart, isn’t noted on its own anywhere in the XML, although it is part of all the graphic@url that are in the facsimile section. Happily each of the ms desc files is named according to the siglum, so I should be able to extract it from the file name. the name of the manuscript can be extracted from TEI/teiHeader/fileDesc/titleStmt/title@type=’common’. Many of the manuscripts have additional titles, but for this exercise I’ll just be taking the common one. the number of pages is a bit more difficult. I think the easiest way to do this will be to extract the number from the last TEI/facsimile/surface/graphic/@url in the document, where the number is part of that URL value. width and height of the page image in pixels – I have no idea. The BookReader really depends on these numbers being there, if you leave them out the reader will load the image in actual size, which looks awful (and breaks the tile view), and if you don’t get the width to height ratio correct it will skew the images. So they really need to be exact. Of course the same measurement is applied to every page in the manuscript, and that only works as long as you don’t have fold-outs or anything like that (more common in printed books, but not completely unheard of in medieval manuscripts) – so for some documents the BookReader just won’t be usable. ANYWAY, I think these numbers will need to be extracted from files. I haven’t done that before, but I know it can be done. I just need to figure out how to do it. So, this is my plan. Tomorrow and over the weekend I will start playing around with code to see what I can get easily and what will need more investigation. For now, I sleep. The plan. I have a plan? I spent this evening setting up the hosting (via Dreamhost), installing Omeka, MediaWiki, and WordPress, moving the few page-turning books I set up yesterday (using the Internet Archive BookReader) over to the sandbox, installing a bunch of Omeka plugins, and thinking about what exactly it is I want to do first. 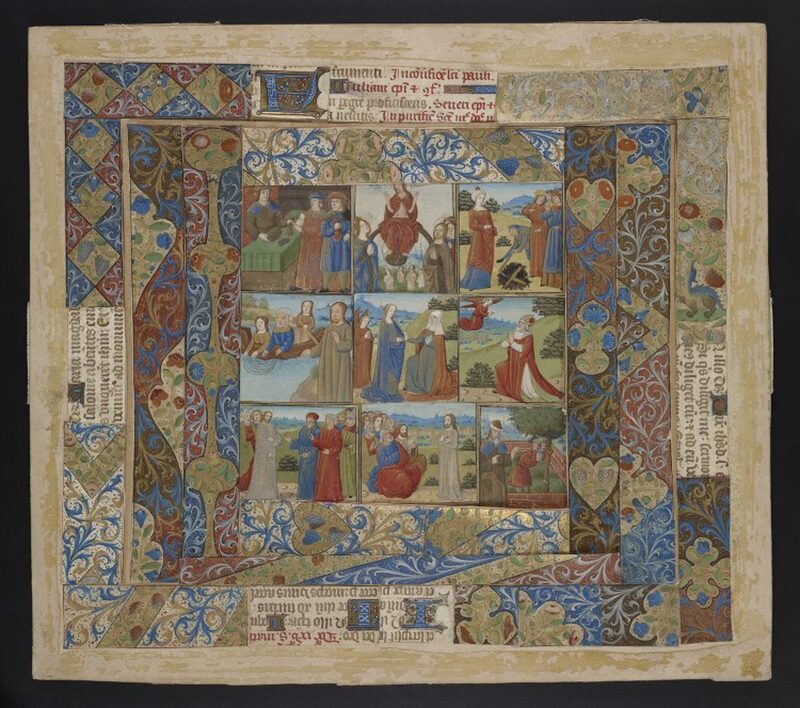 The Walters Art Museum, with great foresight (mainly the foresight of Will Noel, Curator of Manuscripts) has released all of their digitized manuscripts, and many TEI manuscript descriptions along with them, under a Creative Commons license. The metadata is regular and standard, and the naming conventions for the scanned images are regular as well. So if one wishes to do something with the digitized collections, one could write up some scripts to grab the information one required (metadata and/or image files) and do it all in one go. Theoretically. And that is what I am going to do. At this point my plan has two stages. The first stage is to create Internet Archive BookReader versions for all of the scanned manuscripts from the Walters collection. The BookReader is super simple and there are only a few changes that would need to be made to the code for each version: Changing the book title (manuscript name) in a few places in the index.html file, and changing the URL pattern, manuscript name, and “home URL” (which would point to the Walters website) in the BookReader.js file. Honestly, I’m not entirely sure how I am going to do this, but I know it can be done. So I’ll figure it out. The second stage is to create records for all these BookReader versions in Omeka. Now, the manuscript descriptions for the Walters manuscripts are extensive and good, but there is no place for descriptive metadata in the BookReader itself. On the other hand, Omeka doesn’t do well with multi-page documents. There’s no page-turning interface (I didn’t even see a plug-in for one), each individual page is presented separately, which isn’t really a good way to interact with codex manuscripts. My plan is to create a CSV file of metadata extracted from the Walters manuscript descriptions, import that into Omeka, and then provide links from those records to the BookReader versions, where the manuscripts can be interacted with a bit more naturally. (I’m actually following the model that we used at Indiana University Bloomington in developing the War of 1812 in the Collections of the Lilly Library project, which also uses Omeka to describe books and other objects but doesn’t display them through Omeka, instead it links out to our purpose-built publication services: http://collections.libraries.iub.edu/warof1812/) Now, how exactly am I going to create that CSV file? Again, I’m not sure yet, but I know that I can do it. That’s it for tonight. Tomorrow I’m going to try to figure out what I’m going to have to do to start on stage one. Right now I’m thinking some kind of script to grab all the manuscript names + sigla (it’s the sigla that are different in the page URL from manuscript to manuscript), put them in some kind of (probably XML) document, then a separate script (probably XSLT, since that’s what I know best) to generate the BookReader files for each title. Any suggestions?